John Chipman was born in Montreal, Canada, in 1926. He received his Ph.D. from the Johns Hopkins University in 1951, and taught at the University of Minnesota from 1955 to his retirement as Regents' Professor in 2007. 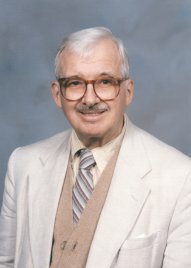 He was elected to the National Academy of Sciences in 1993. His most recent publications include The Theory of International Trade, 2 vols., Cheltenham, U.K.: Edward Elgar, 2008-9; "Multiple Equilibrium under CES Preferences", Economic Theory, 45 (2010); "Gauss-Markov Theorem", International Encyclopedia of Statistical Sciences, Berlin: Springer, 2010; Advanced Econometric Theory (London and New York: Routledge, 2011); and "Detrimental Externalities, Pollution Rights, and the Coase Theorem" (with Guoqiang Tian), Economic Theory, 49 (2012).